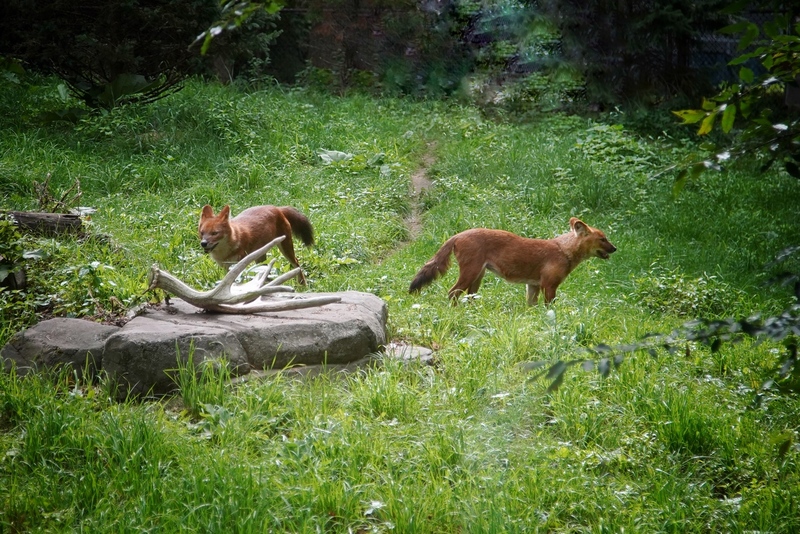 When visiting the Minnesota Zoo with the grandkids the other day, I was fascinated with what was going on in the Dhole (pronounced with a silent “h”), or Asiatic wild dog pen. 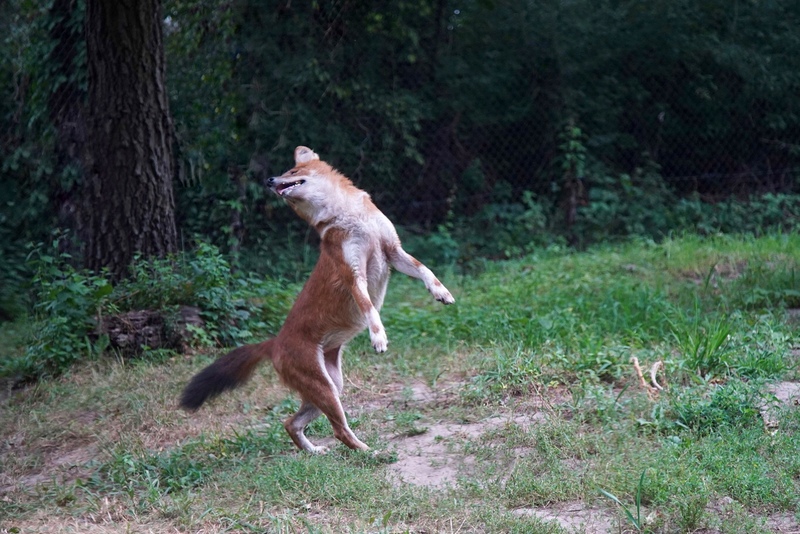 What I think might have been the male Dhole was doing a jump-dance step in one corner of his circuit around his pen. It looked like this, but had no vocalization with it. The jump-dance step was repeated several times, so it might have been part of a display for the female in the pen, or it might have been some type of aberrant displacement behavior, an artifact of being bored in its captive environment. Was he showing off for his mate? 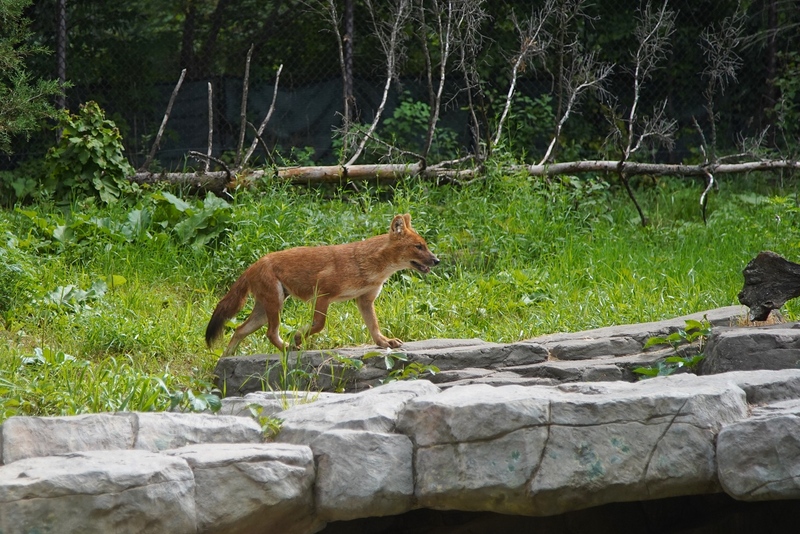 Dhole (Cuon alpinus) are native to central, south, and Southeast Asia, but are not members of the familiar Canis genus that includes domesticated dogs, coyotes, wolves, African jackals, and even Australian dingoes. They have shorter legs, different dentition, and differences in skull anatomy that distinguish them from members of the dog genus. Dhole are highly social animals, living in large clans of related individuals, but they lack the strong social hierarchy of wolves. They are typically diurnal hunters, going after medium and large-sized hoofed mammals and their young. Small groups of 3-5 individuals hunt cooperatively to bring down their much larger prey, much like African hunting dogs do. 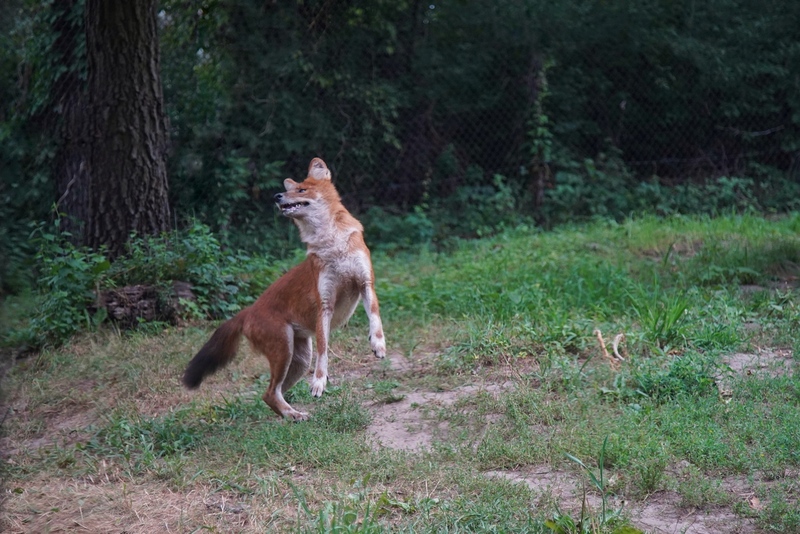 Although Dhole seem docile and non-aggressive in their clan in the wild, efforts to tame them have failed, as captive youngsters have remained shy or become vicious to handlers. 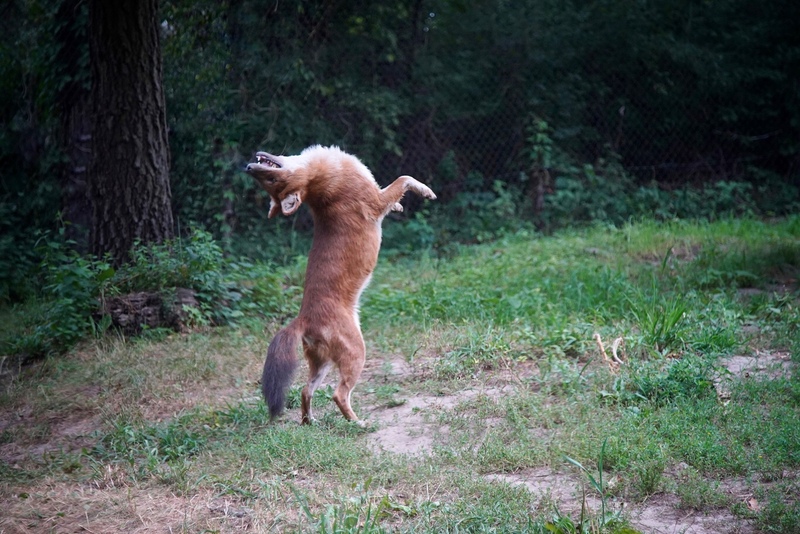 Dhole — an interesting dog “cousin”. 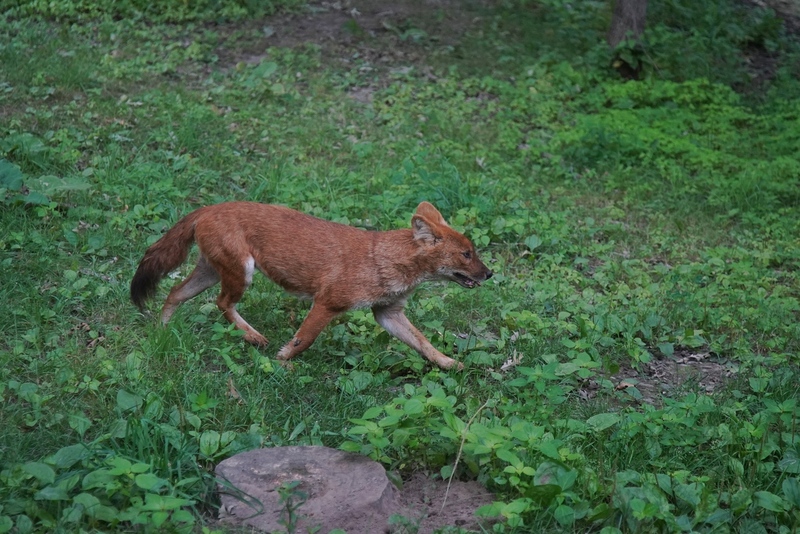 This entry was posted in Behavior, Mammals, Wildlife Photography and tagged Asiatic wild dog, cooperative hunting, Dhole, Minnesota Zoo by Sue. Bookmark the permalink. He seems to be quite happy, even in a zoo! Lovely images and behaviour documented. Yes seems matting display to attract female Jackal. Thanks for your comment, it seemed to be a programmed behavior, so I wasn’t sure of its function.